Are you looking for the best online mattress sales, including those on memory foam? Depending on the time of year, there are some incredible deals offered by various manufacturers that should help you narrow down your choices. If you plan on taking advantage of mattress deal prices, it’s also important to consider the overall value of the offer. Below are some of the top offers on the best quality beds being sold today. Included is information pertaining to the various features that consumers rate as being most important. Armed with this information, you should be able to get the best deal on a sleep surface that will have you looking forward to a great night’s sleep–every night. What should you look for when shopping for a deal? Some of the leading manufacturers offer rotating sales on products that they may be featuring for a limited time. This makes sense, because it’s a great way to publicize their brand. And sometimes, a little extra savings is all it takes for a potential buyer to take the plunge. Don’t wait for a sale. Buy your new bed now. Amerisleep is one of the leading mattress manufacturers offering amazing deals on their most popular models. Consumers with a conscience will especially like Amerisleep’s eco-friendly foams, which are made right here in the United States. Those in search of top quality, unrivaled comfort will be equally impressed. 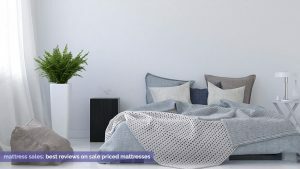 The Amerisleep AS3 Mattress is not only the most popular model they make, it’s also currently being offered on sale for $200 less than the retail price. With a total cost of $1,199, the Amerisleep AS3 is almost half the price of Serta’s iComfort Hybrid HB300, which is an option with similar specifications. Amerisleep’s AS3 makes the top of our list because even when it’s not on sale, it’s still an incredible value. Not only does this model come with a 100-night, no-risk sleep trial, it also boasts a 20-year guarantee. Even when you purchase the AS3 at its sale price, you can return the bed at no cost if you decide during the trial period that it’s not the right fit for you. 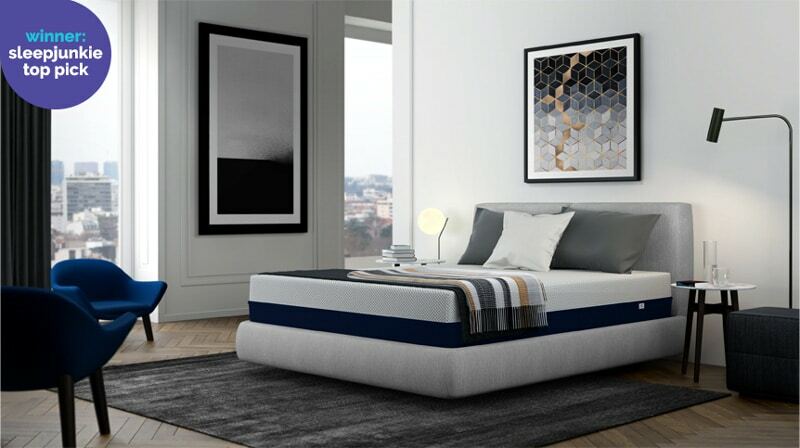 High performance Celliant® cover – Amerisleep is the only mattress manufacturer that incorporates this innovative fabric in their product design. The company relates that Celliant® fabric is made with 13 thermoreactive minerals that improve the performance of the mattress. Celliant® fabric is also approved by the FDA as a medical device because it increases blood flow and hastens recovery. For athletes and persons who suffer from joint or back pain, this feature alone makes Amerisleep products a must-have. Breathable cooling layer – Amerisleep is also unique because they design and manufacture their own eco-friendly foams. Their Bio-Pur™ foam is used in the top layer of the AS3, and is five times more breathable than traditional memory foam products, according to their product description. These properties help the surface wick away moisture when you sleep, helping you snooze cooler and more comfortably. Another foam layer that makes you feel like you’re floating – The perfect bed would be virtually undetectable to your body no matter what position you prefer to sleep. The AS3 boasts an affinity transition layer of foam that reacts to your body when you sleep, which is zoned to evenly distribute weight and relieve key pressure points. A foam core layer that will never sag – The bane of every sleeper is sagging–an issue that affects even most high quality beds over time. Amerisleep solved this problem by developing a foam that will not sag, even after decades of nightly use. They call this their Bio-Core™ foam and, like the Bio-Pur™ foam, it is made partially from plants instead of petroleum. In short, it’s easy to see why the Amerisleep AS3 was the best rated mattress of 2019. Learn more! Find out about Amerisleep’s AS3 and see when you might be able to score a great deal. The Serenity BedInABox® Mattress is currently being offered for $1,224 on their website, a small discount from the regular price of $1,299. While this isn’t quite as good as the Amerisleep sale, it’s still represents a savings that may appeal to those who appreciate its features. Serenity’s BedInABox® Mattress stands out amongst the more affordable options. Here’s why: The Serenity uses a two-inch CoolRest quilted top fabric cover, which the company claims balances temperature between the bed and the sleeper. The gel-infused quilting cradles the sleeper’s body for extra pressure relief. The Serenity is made of a lower density foam than many other similarly priced offerings, but it utilizes a core made from an above-average foam that should withstand years of daily use. It also includes a 20-year guarantee and can be returned within 125 days. It should be noted that many customers who have reviewed the Serenity complain that this product has an unpleasant odor and offgassing issues. This is unusual in this category of higher-end models, but if you’re sensitive to smells, you may want to seek out other options. Other consumers also complained of the company’s policy that requires the buyer keep the mattress for 60 days prior to returning, which makes sense considering its offgassing issues. Are you reading the right online mattress reviews? The most important thing to consider when buying a new bed is whether it will give you a restful, comfortable night’s sleep. Ultimately, this holds true whether the bed is on sale or not. Getting the best deal on the internet won’t matter if you toss and turn all night and sleep on something that causes you to have pain or soreness. So what should you look for? First, consider how you sleep. Do you prefer to lay on your back, side, stomach, or a combination of these positions? (If you’re unsure how you sleep at night, it’s usually the position you wake up in.) Understanding your preferred sleeping position will help you determine the level of firmness or softness that’s right for you. Breaking these down into three categories will help you better understand the relation between sleep position and mattress firmness. So let’s take a look. If you sleep on your side, then a soft sleep surface will better support the contours of your body. It’s also true that some sleepers simply prefer the plush comfort of a soft model. For people who need more support from their bed, softness may work against them and cause aches and soreness. It’s important to remember that not all soft options are made equal. When you wake up in the morning, you shouldn’t ever feel like your mattress is sucking you in or creating a sinking feeling, which can make it difficult to pull yourself out of bed. If you love a soft mattress, make sure to find one that won’t make you feel like getting up in the morning is any more difficult than necessary. If you prefer to sleep on your stomach or back, then a firm model is likely your best bet. A quality firm bed should support your joints and muscles, helping you get a good night’s rest and wake up feeling rejuvenated. Firm sleep surfaces are especially beneficial for people who suffer from chronic pain. In fact, some people are entirely unable to sleep on anything but the firmest of beds. If you suffer from back pain, neck pain, or pain along your spine, a firm option will likely help you sleep better while promoting overall wellness. Some manufacturers make models that fall somewhere between soft and firm. These offerings are perfect for people who like to sleep in a variety of positions throughout the night, and want to enjoy the best of both worlds. Couples often prefer these beds for their versatility, as it allows for a compromise between divergent sleeping styles. If you and your partner are shopping for an in-between option, make sure it features technology that prevents movement from rocking the entire bed. Without this feature, it’s easy for one partner to wake the other when if they change positions or get up in the middle of the night. Check out the guide to the best mattresses available right now. Once you have a grasp on the firmness level you prefer, it’s important to identify the features that will help you maximize your overall comfort. The construction of your bed also plays a large role in determining its price and will likely have a major impact on your overall satisfaction. 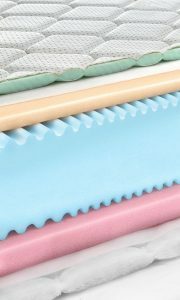 The materials from which your mattress is made also help determine its overall value and performance level. Think about it: If you save a few dollars on the purchase price on a model with half the lifespan of a slightly more expensive brand, you’ll ultimately end up paying more when you have to buy another new bed in just a few short years. This is undeniably the most popular material in today’s market, and with good reason. Memory foam has a long lifespan, high durability, and is competitively priced. Best of all, most memory foam beds can conveniently be ordered online and be shipped directly to your door. By eliminating showroom costs, online-based manufacturers are able to make the best deals available to customers. (Some are also offered in showrooms, so you can test one out to see what firmness level is right for you.) Often the best sales are offered during the holidays. But certain manufacturers, like Amerisleep, offer year-round bargains that are hard to pass up. Memory foam is also the highest rated of all products, and warranties reflect this. If conservation is important to you, search for memory foam models that are made with environmentally-friendly materials. Beds made from latex are the second-highest rated on the market, and are predominantly sold online. Latex foam is either natural or synthetic, but natural latex (which is made from rubber) has both environmental and aesthetic advantages. Some companies identified the benefits of both memory foam and latex, so they developed options that qualify as hybrids. In most cases, a poly foam base core is paired with a layer or two of latex for comfort. While this approach makes for a less costly product, it often negates the health benefits and durability of the bed. Another consideration is price. While latex foam and memory foam are nearly even on many levels, latex beds tend to cost more. So if you’re on the fence, the higher price point could end up being the deciding factor. 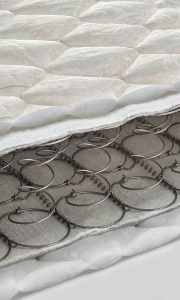 Also called coil mattresses, these are the most common models, often seen in showrooms across the country. They are built with metal springs that are covered with foam and fabric, which are arranged in a variety of ways to accomplish distinct goals. Innerspring beds have the lowest customer approval ratings of all mattress varieties. Motion transfer is often a major complaint from users, a problem which is largely mitigated with memory foam. Whenever you visit a showroom, you will have no problem finding deals on innerspring beds. Still, you have to wonder why these manufacturers are able to offer such massive discounts on their products. Remember, a bargain that seems too good to be true now isn’t always the best deal in the long run. What is the best holiday for bed sales? Is one holiday better than another for finding the best deal? What should I look out for when shopping bed sales? In the following section, we’ll answer all these and more–so you know exactly when to shop to find a great deal. High-traffic shopping seasons are the best time to buy, as manufacturers know that these occasions often motivate consumers to make major purchases. Competition is high in the mattress making industry, especially with memory foam models, and many companies will engage in all-out price wars to attract new customers. Here we break down the major holiday deals and explain why they may be the right time for you to find the bed you’ve always dreamed of owning. Memorial Day sales are some of the best throughout the year. Not only does Memorial Day signal the start of summer, it also boasts a three-day weekend and is close proximity to Mother’s Day. If mom is in the market for a new mattress, Memorial Day mattress deals offer the best bargains on beds from many major manufacturers. Tempur-pedic held a Memorial Day sale featuring savings of up to $400 on some of their popular brand names. Therapedic is sold at Bloomingdales and other fine retail outlets, and offered up to 20 percent off during the Memorial Day holiday. Amerisleep is one online retailer known for their quality Memorial Day sales that feature significant savings. Casper is yet another online vendor that offered a Memorial Day sale where $75 was taken off the price at checkout. While not the biggest savings, this is a fairly common way to offer better deals during the holiday. July 4th mattress sales are perfect for people who aren’t able to find what they want on Memorial Day. The July 4th weekend is often spent with friends and family and offer off work to enjoy the holiday. There are a number of promotions offered by manufacturers designed to take advantage of consumer’s spare time. So, what brands offered the best deals last year? Amerisleep offered a sale price of $1,199 on their industry-leading AS3 queen mattress. This July 4th sale was available to anyone who entered the promo code at checkout on their website. With a 100 day trial period and a 20-year guarantee, it’s no surprise that this model has one of the highest customer satisfaction ratings of all brands. The Serta iComfort Blue 500 queen mattress was offered online for $1,599. 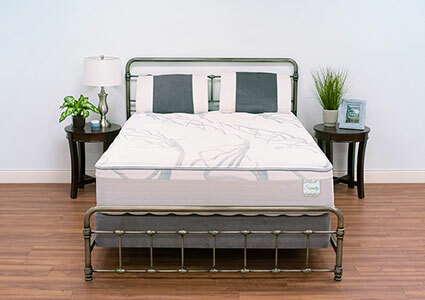 While significantly more expensive than other options of similar quality, this July 4th sale proved very popular with fans of Serta’s name brand. Beautyrest’s World Class Hybrid 3.0 Cushion Firm queen mattress was offered at a sale price of $1,299 at Macy’s. With a 60-day trial period and 10 year guarantee, it makes sense to try out one of these beds before you make the purchase. Labor Day mattress sales are also popular with consumers for obvious reasons. Manufacturers know that many consumers make major purchases on home items as the summer season draws to a close. If you’re in the market for a new bed, you should definitely check out Labor Day sales from an assortment of brands. Amerisleep makes the cut yet again with their popular queen size AS3 model. While you may find some budget options for slightly less money, you will not find a better deal on a new bed than this $1,199 offering. Best of all, Amerisleep offers this model on sale during other holiday seasons. So if you miss one sale you can always wait for the next one. Beautyrest made the cut for their Labor Day sale offering of their Black Hybrid Black Alcove Plush Set. In the vast hybrid foam/spring mattress field, this bed rated at the top of the list. With thicker foam and above average reviews (for spring hybrid beds), this is definitely one option to check out. However, keep in mind that hybrid options don’t rate anywhere near as high as their memory foam or latex counterparts. Black Friday mattress sales are yet another major event where consumers can find a great deal on a new bed. 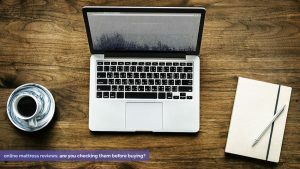 Black Friday may not be the best time to wage war inside of a showroom because of the large crowds eager for a deal, but you can’t beat this time of year for online shopping. The discounts tend to be some of the best offered all year because many people use the opportunity to fulfill a partner or family member’s wish list. By looking at some of last year’s Black Friday sales, you will have a pretty good idea of what to expect this year. The Amerisleep AS3 Bed was offered at a staggeringly low $1,099 during the company’s 2019 Black Friday sale. With more than 600 stellar reviews (4.7 to 5.0), this mattress is a proven winner in the memory foam category and boasts a reputation than many other manufacturers envy. The Serta Perfect Sleeper Glenellen Super Pillowtop Plush Set was offered at a slightly lower cost of $999, which is a good price on their gel foam mattress. It’s worth noting that this mattress only has 4 online reviews that rank between 4.0 and 5.0. If you want to check it out you can find Serta mattresses at your local Sears store. The Stearns and Foster Estate Palace Luxury Firm Tight Top Set is another highly rated option. But it currently only has one review, making so tough to determine overall customer satisfaction. This firm innerspring/fiber gel foam hybrid was sold at Macy’s at a sale price of $1,399. While not as big as the holidays listed above, you can still find some great savings on beds offered during other holidays. It’s always a good idea to be on the looking for deals during any holiday, especially if you’re in the market, but pay special attention to the following. President’s Day sales are far more popular than you may imagine, both in showrooms and online. President’s Day sales are popular for the same reason many appliance sales are popular during the holiday: retailers start clearing out older merchandise to make room for newer models. This means you’re often able to get amazing deals during the President’s Day long weekend. However, it’s important to remember that President’s Day sales are often difficult to navigate because many discounts aren’t actually as steep as they may appear to be. If you’re shopping for a new sleep surface on President’s Day, be sure to check the sale price with the regular price to make sure you’re getting a good deal. Trusted names like Amerisleep are a good place to start. Boxing Day (December 26) sales are also popular, and you can find good deals if you know where to look. Furniture showrooms that feature name brand models often offer some good deals to help clear out inventory after the holiday season, so it’s often worthwhile to check out newspaper ads that feature sales. Online vendors are also highly motivated to clear out inventory on and after Boxing Day. As with brick and mortar stores, it’s important to compare regular prices with the sale price to ensure the best value for your dollar. New Year’s Day sales are also offered by leading manufacturers to further assist with clearing out old inventory by motivating consumers to act on their desire to buy a new bed. New Year’s Day sales can be far better than you might expect, and it remains a mostly overlooked opportunity for buyers on the market for a new bed. You may have to do some digging to find the best New Year’s Day sales, but the rewards are often worth it. If you’re looking to buy a new bed, it makes sense to spend less money. However, you should never sacrifice comfort or quality to save a few bucks. Fortunately, the most trusted manufacturers in the country all offer excellent deals on a routine basis, so it’s easy to get exactly what you want and without breaking the bank. Don’t wait for a mattress sale. This is the best memory foam mattress sale we found right now! If you can’t wait until the next holiday to buy your next bed, we recommend taking a look at Amerisleep’s large selection of mattresses. With hundreds of reviews to back up their claims, and daily discounts on their most popular models, it’s hard to find a better deal on the internet or in a showroom. Whether you prefer a soft surface, hard surface, or something in between (think Goldilocks), Amerisleep has a product that will you will undoubtedly find attractive at a good price. While everyone’s sleep needs are different, it’s one of the best brands to start your shopping journey. We’re confident that many consumers will find a model that fits their needs–and their budgets.